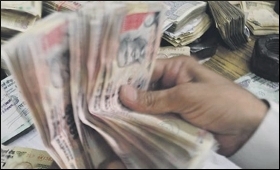 Fiscal deficit for the April-August period climbed to Rs 5.91 lakh crore, accounting for 94.7% of the full year's target, according to data released by the Controller General of Accounts last week. Although this figure is marginally better than 96.1% at the same point last fiscal, no doubt it is worth raising concern. Finance Minister Arun Jaitley, however, assured that the Centre would meet the deficit target of 3.3% of GDP for the year, but economy watchers have flagged concerns over the current situation. The question is: what room does the Centre have for cutting fiscal deficit? When the Budget was presented in February, our macroeconomic indicators were quite stable, making it to appear that it would not be much difficult to keep the deficit under control. But things have changed drastically in the last few months, with rising crude oil prices and falling value of the Rupee, and this situation does not augur well for the economy, point out some experts. The Centre has recently announced that it would borrow less from the debt market for the second half of FY19, signaling that its finances are under control, but concerns abound over possible shortfalls in disinvestment proceeds and GST revenue collection. As of now, the Budget target of raising Rs 80,000 crore from disinvestment in PSUs seems difficult. Also, the target of collecting Rs one lakh as revenue from GST every month has not so far met. So, the road ahead will not be easy for the government. It is also feared that the government, in its efforts to reduce fiscal deficit, may sacrifice growth, by cutting capital spending or current spending. In this situation, meeting the 7-7.5 percent GDP growth target projected in the last Budget will be a difficult task. However, till now, the Finance Minister seems to be confident enough of meeting both the capital expenditure and fiscal deficit targets, and it will be interesting to watch how he manages the fiscal dilemma in the coming months.